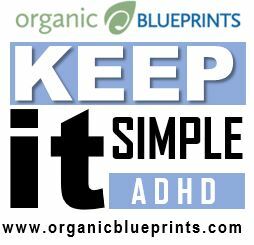 Living purposefully with ADHD is about having a plan—a simple plan. A simple plan for home and work takes a little effort, but it can bring more order to both of your environments. Mastering one will carry over into the other in no time. As I said, there are many plans, but they are so complex and it’s usually hard to apply all of the suggestions. I will help you create a plan that works for you and that will be simple, because it will be yours. Many systems are designed with too much complexity. You and I will author your plan with simple steps and with no complexity. Get a calendar and make a plan for your year. Include all that you would like to accomplish and any events that will take place that year. Mark it on a calendar. My employees used to get upset with me because I would create a new plan every year. Why not use the same plan from last year? It just helps to create a new plan every year. Getting Dressed and Ready for Work—Stress Free! Do you struggle with getting all of your clothing together, organized, planned, and ready to go each day? Keep it simple: Get your outfits all together on the same hanger or beside each other so you can grab and go. Put every piece of garment on the hanger so you will have it. Group together your outfits for each day for the entire week. When you are shopping, look at how things are done commercially because commercial stores are organized. All commercial is designed for simplicity. Outfits are put together. You can do that, too! People with ADHD function better while working near a window or with a landscape view. At least having a piece of art with a landscape view will make you feel as though you are outside! Seeing the natural colors is good for the brain as color has a direct effect on the mind. The perception is that “people who are not organized are not smart.” That is simply not true, but when we are disorganized sometimes let those words ring in our thoughts. In order to organize effectively, you must have enough space and storage. This is true at work and at home. Organize by category at work as in a warehouse and organize by category in the same way at home. Organization for you may look different from someone else’s organization. Your closet may have bins with clothes folded in the bins and your friend’s closet may have clothes all on hangers. Keeping like items together and in the same place will give you confidence on where items should be returned when used. Do the critical things first. If the roof is leaking, get the roof fixed. If the car is broken and you can’t get to work, then take care of the car. Get all important items done and then just go through the list of other items in any order. Just crank them out. Sounds simple enough, but it’s true. Put out the fires first and all things that just have to get done. The other items can just get done as you can get them done. Don’t be compelled to tackle the list from top to bottom or finish one item completely before starting on another one. Maybe you get satisfaction by working on each item for 10 minutes at a time just to add variety so you are not working on the same items for long, extended time periods. Again, keep it simple. These ideas may help you get started. Call me and we will work together on a more extensive plan for you that will cover all of your challenges. I have worked successfully with many people who live each day with ADHD and struggle unnecessarily in their day-to-day routines without a plan. It does not have to be painful. Let me help! Get a plan and live purposefully.